These recollections, by people who knew Edwin Smith, where published to accompany the exhibition of his work held at The Minories Gallery, Colchester, in 1974. 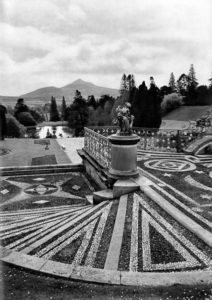 In 1965, whilst photographing in Ireland for the book of the same name published in 1966, Edwin Smith visited the formal gardens at Powerscourt in County Wicklow. One of the photographs he took there has always held a certain fascination for me and a trip to Ireland gave me the opportunity to visit the gardens and see this impressive place myself. Armed with a copy of this published version of his image on my iPad as a guide, I set out to try and photograph the view as it is today. 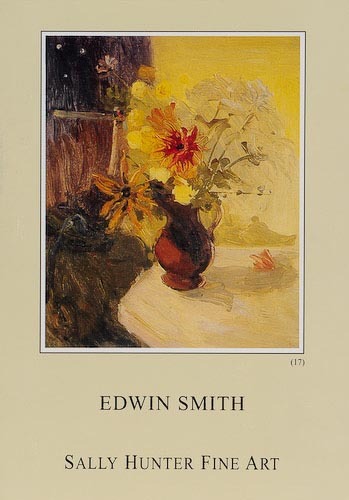 In 1992, an exhibition of paintings and drawings by Edwin Smith was held at the Fry Art Gallery, Saffron Walden. Ever since his death, Olive Cook had tried to promote more interest in Edwin’s non-photographic output – which was prolific but largely unrecognised during his lifetime. The cover of the handout for the Sally Hunter show. 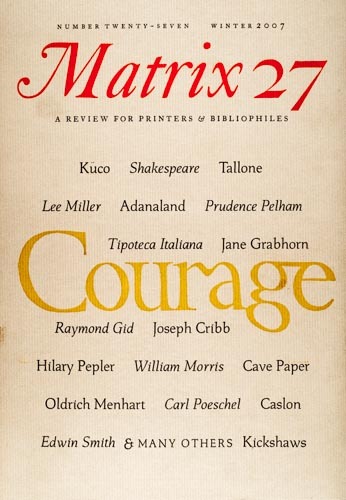 In 1997, Olive exhibited his non-photographic work at the Sally Hunter Fine Art gallery in London, now closed. There have been no other major exhibitions of his work that we know of, but The Fry Art Gallery has an extensive collection of work by both Edwin Smith and Olive Cook, as does The Chelmsford Museum. Edwin Smith used to say that he was “the only artist with a complete collection of his own work”. The cover of ‘English Cathedrals’. Olive’s dedication to me on the inside cover. 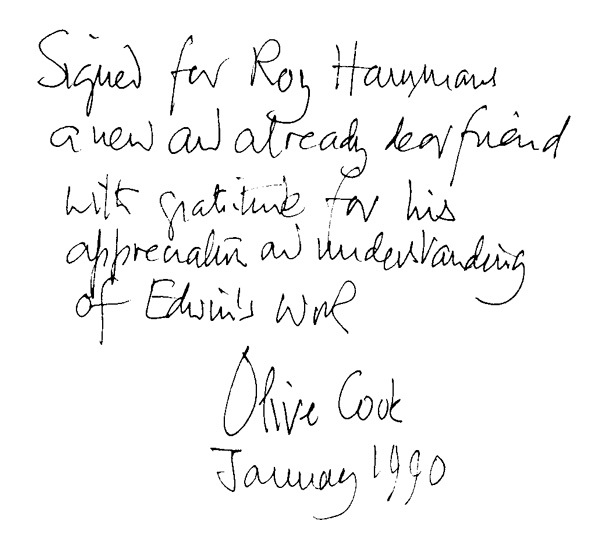 In 1990, Olive Cook gave me a signed and dedicated copy of ‘English Cathedrals‘, which had just been published. 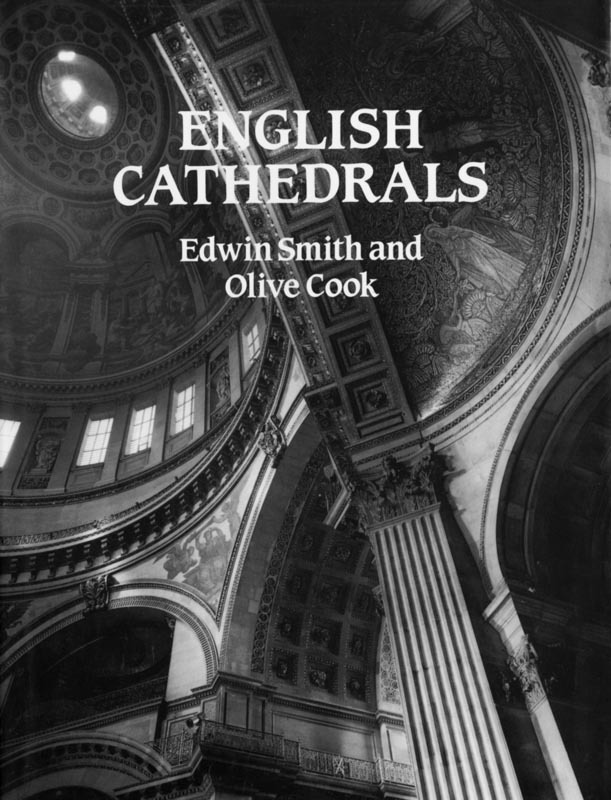 In the Foreword she says that the book was needed because relatively few of Edwin’s photographs of cathedrals had ever been published, yet it was a subject to which he was considerably drawn.